To call Sweden, you can use either your Ooma Telo-connected home phone or the Ooma Mobile app. Dial 46 next, which is the country code for Sweden. Now dial the local number, which is anywhere from 7 to 9 digits. Keep the following considerations in mind when calling Sweden. You may encounter listed numbers beginning with a “0.” That 0 is a “trunk code” and is part of Sweden’s national dialing format (just like how we in the U.S. sometimes use “1” when dialing a long distance number). Dial only the numbers after the 0 to ensure the call goes through properly. Fixed lines may be 7 to 9 digits, but do ensure the area code is included in shorter numbers. Mobile numbers begin with a 7, so you’ll be able to tell them apart from landline numbers. Keep in mind that these numbers are billed at the higher per-minute rate for mobile lines. 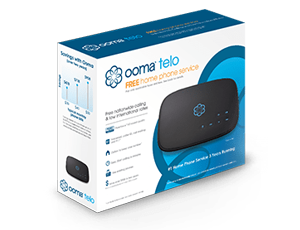 Making calls to Scandinavia can be expensive and difficult, but with Ooma Telo, it’s affordable and easy. Using Ooma’s Basic Service or Premier Service, calls to landline numbers in Sweden are billed at a rate of $0.025 per minute, meaning a 10-minute phone call would cost you $0.25. The rate for calls to mobile numbers in Sweden depends on your service level. For Basic Service customers, the rate is $0.19 per minute, while Premier Service customers pay $0.09 per minute. Basic Service is prepaid, so charges are deducted from your prepaid balance, while with Premier Service, the per-minute charges are added to your bill in addition to the $9.99 monthly fee. Ooma is also far cheaper than competing rates. Depending on your plan, Verizon can charge you up to $1.69 per minute, more than eight times Ooma’s highest rates. With both the Ooma World Plan and Ooma World Plus Plan, all landline calls to Sweden are unlimited. With the Ooma World Plan, calls to mobile numbers are billed at the discounted $0.09-per-minute mobile rate in addition to the monthly service charge. If you need unlimited calling to all mobile numbers in Sweden, opt for Ooma World Plus.